Hi, guys. 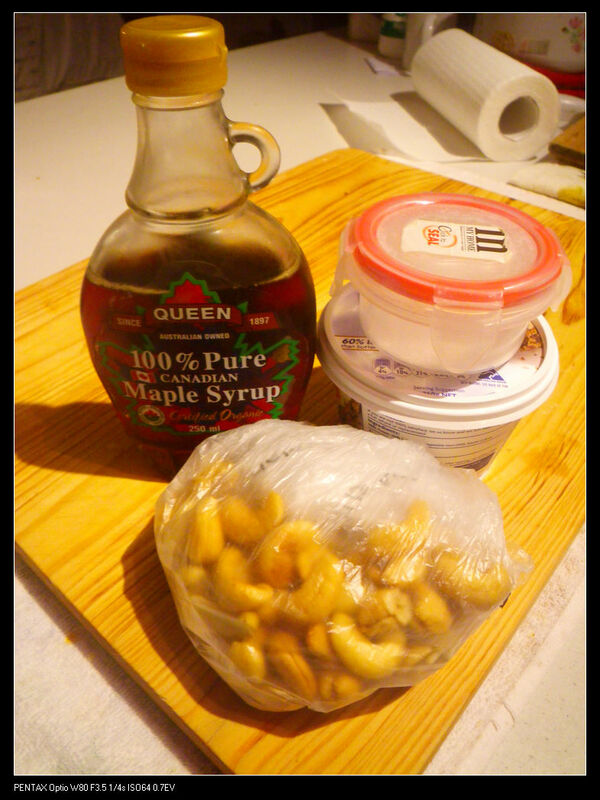 Sweet time! 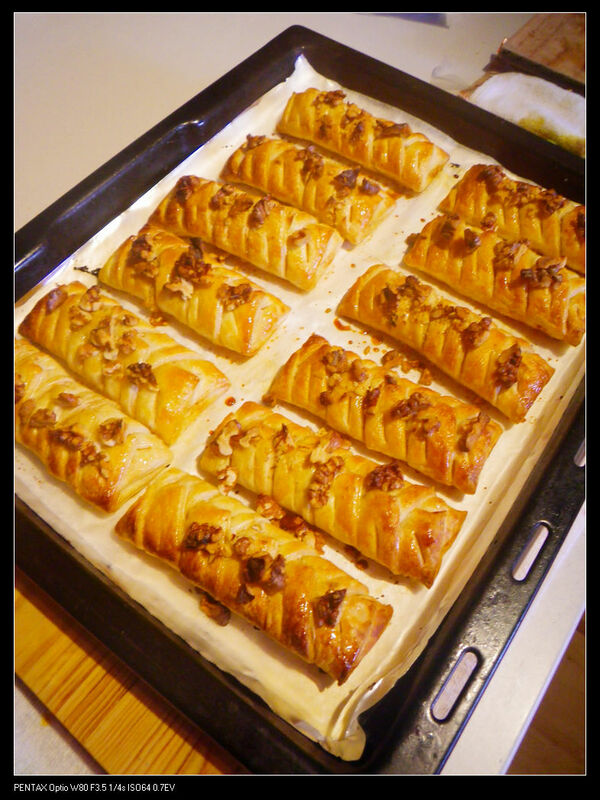 Until recently, somehow I felt love with the maple and pecan danishes and decided to make some. 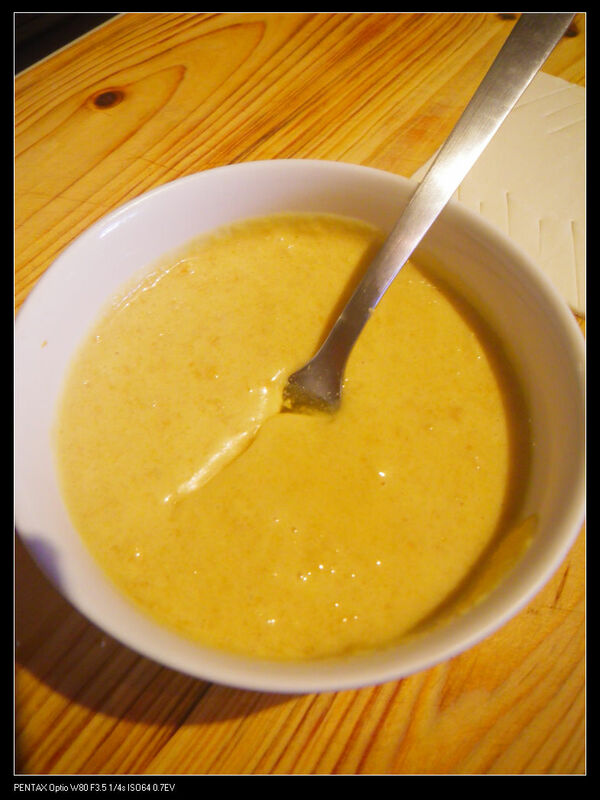 It is very simple to make and I should say for about half an hour, including cooking time, you will be under ur way to some great taste sweets. Let’s begin. 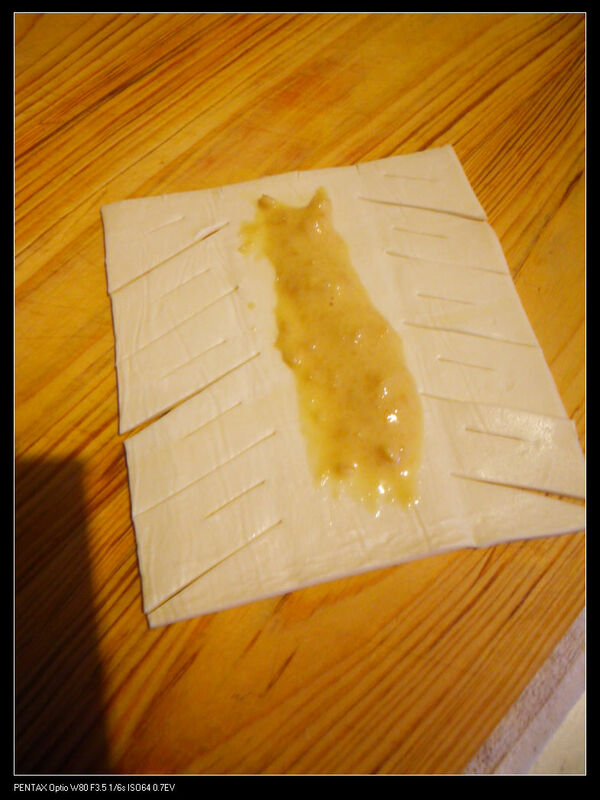 Stir through sugar into creme cheese until smooth. 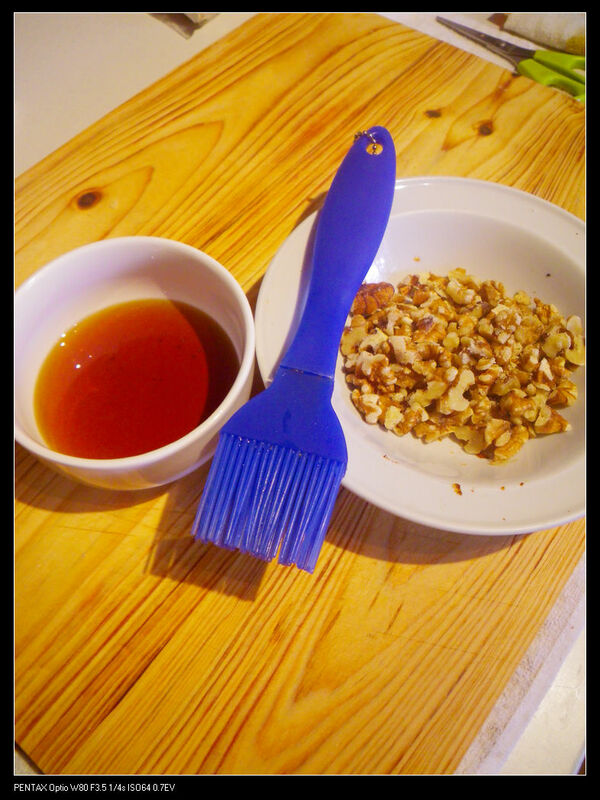 Then add the maple syrup, continue stir until the color of the mixture became white & milky. 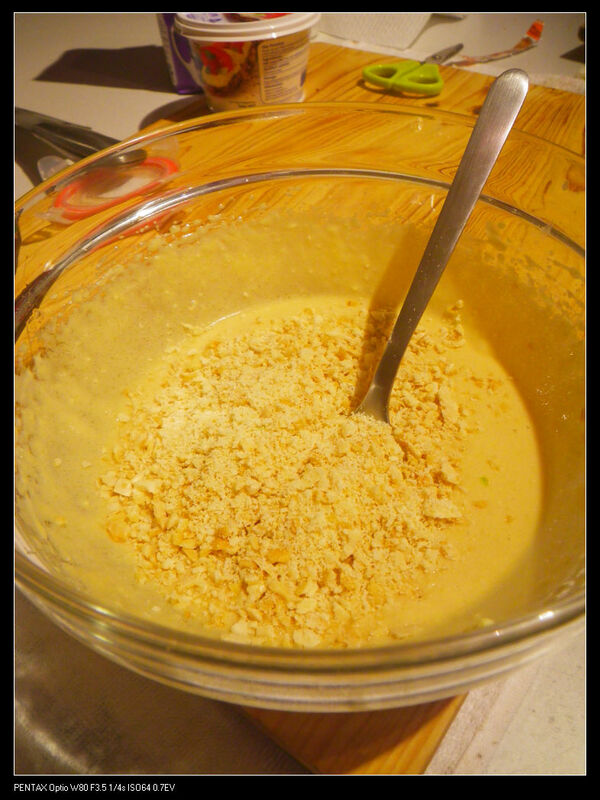 Add the grated nuts and stir (or hand blend) well and store in fridge while preparing for the pastry. Divide each square into three folds. 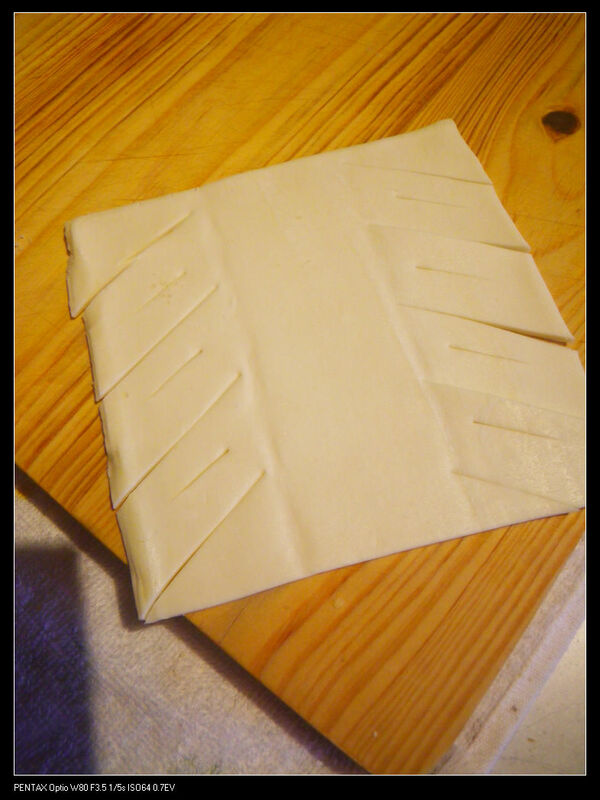 For the fold on each side, divide and cut 5-6 into sections as shown in the photo below. 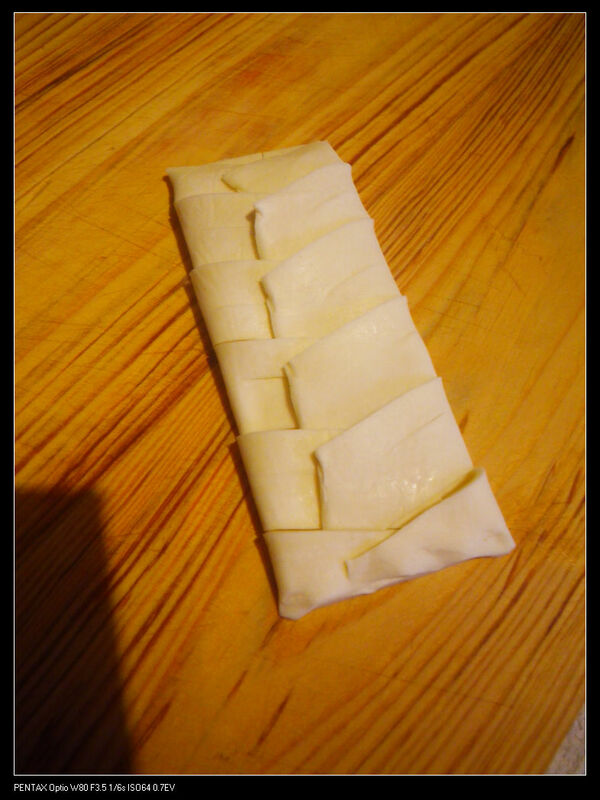 For any section, cut a line in the center, but don’t divide the section completely. 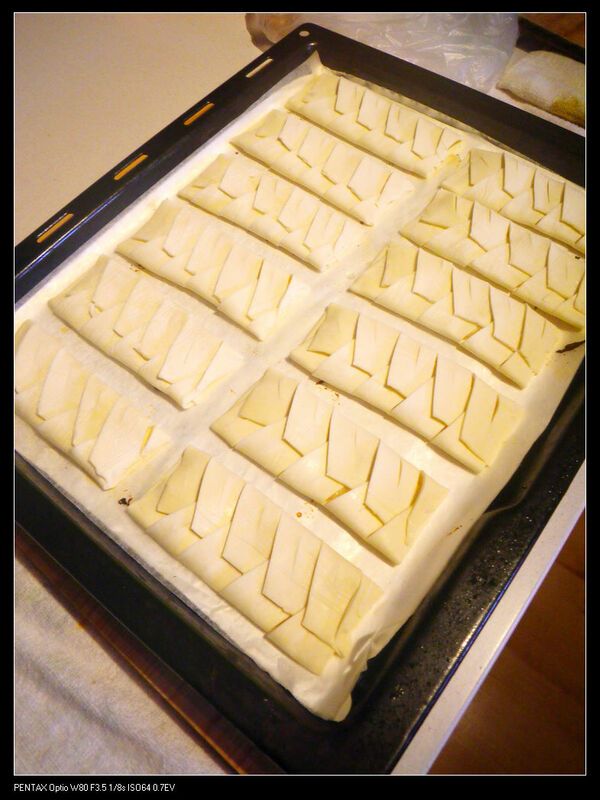 Place your fillings in the center of the sheet and spread. 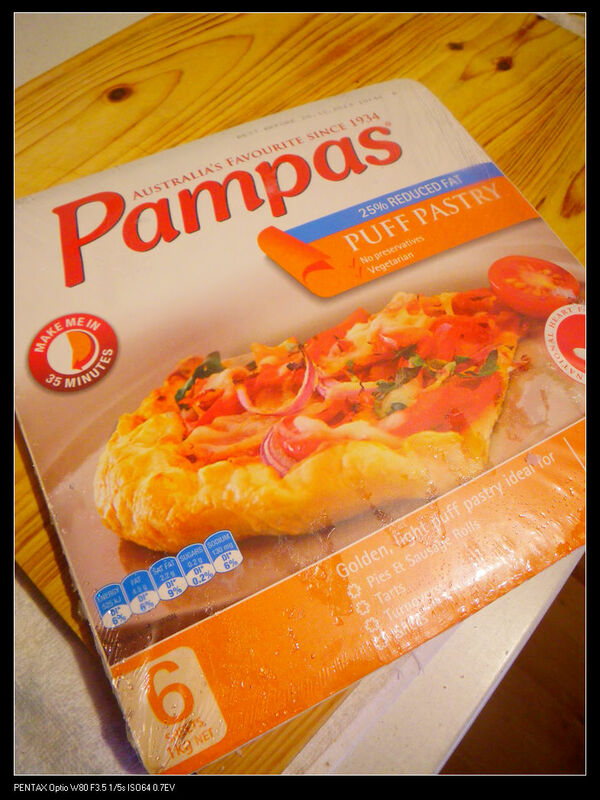 You probably want a generous amount of fillings, otherwise your pastry may be tasteless. Definitely more than what is shown in the pic. 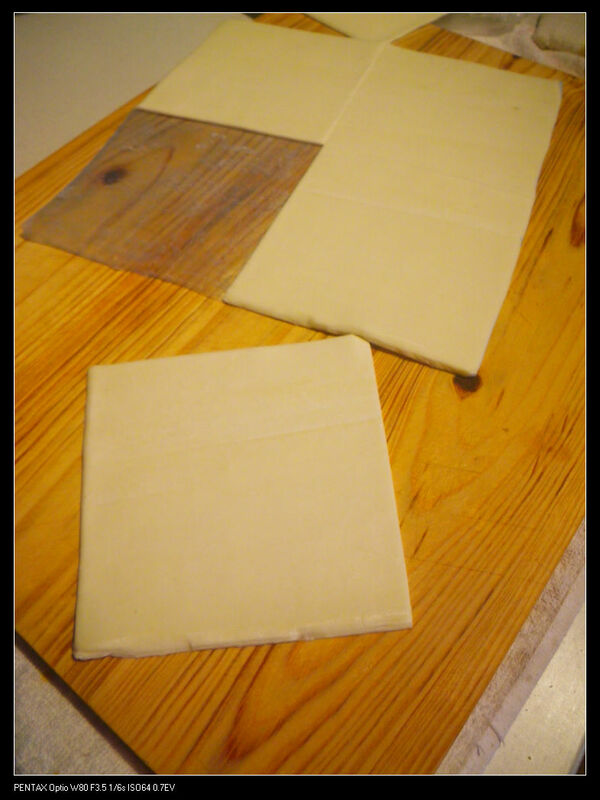 Fold the pastry sheet as shown. 3. 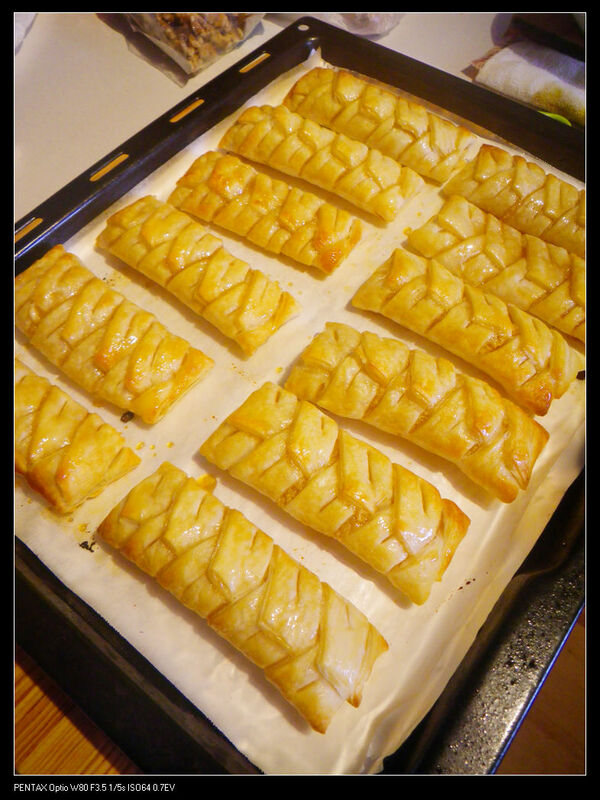 Pre-heat the oven at 220 degree Celsius and bake the pastries for about 17-18 mins until the tops are golden brown. 4. 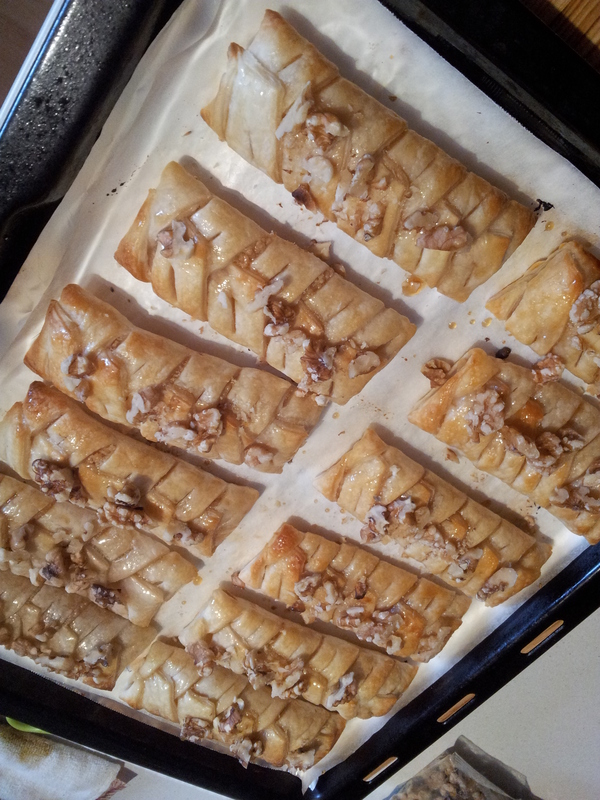 Brush them with the maple syrup and decorate with walnuts (or pecan nuts) (roughly grated). 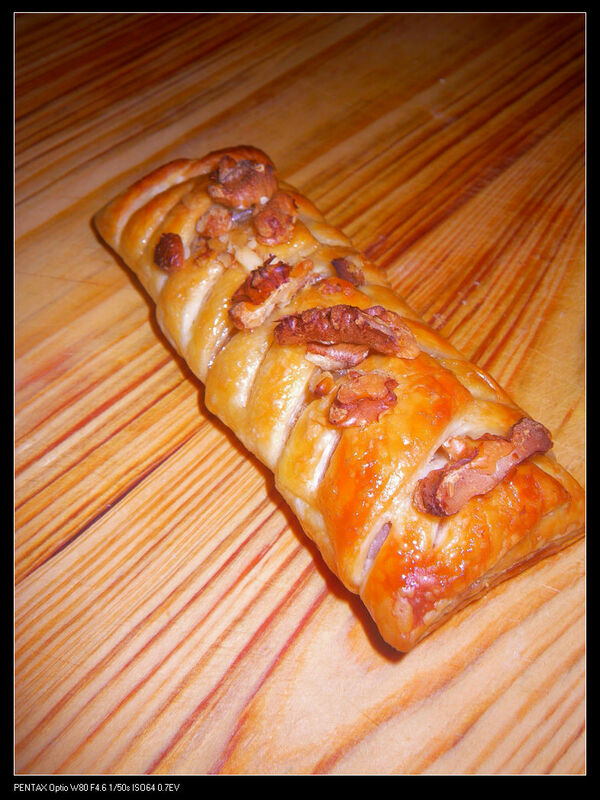 Some people likes to toast the nuts before decorating. That’s absolutely fine but you need to watch them for the next baking period. 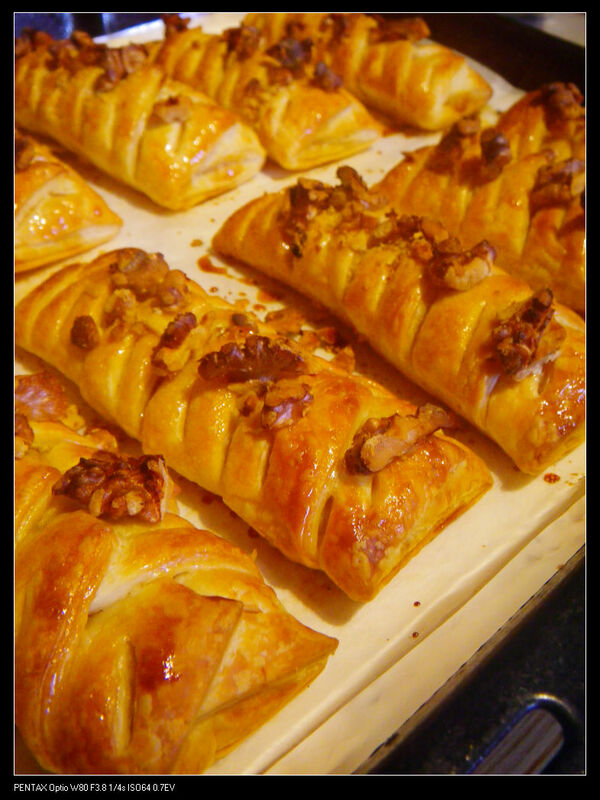 I like to use raw nut which can bake while the pastry is cooking. 6. 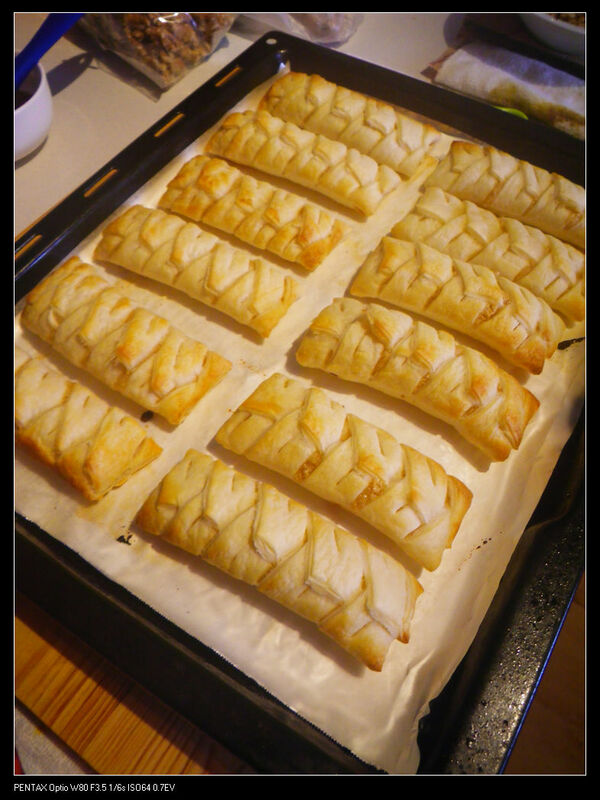 Let the danishes to cool down and enjoy some sweets! Hope you enjoy it. Until next time! Good night! I should definitely read your other posts! Really good info too. Continue the hard work.